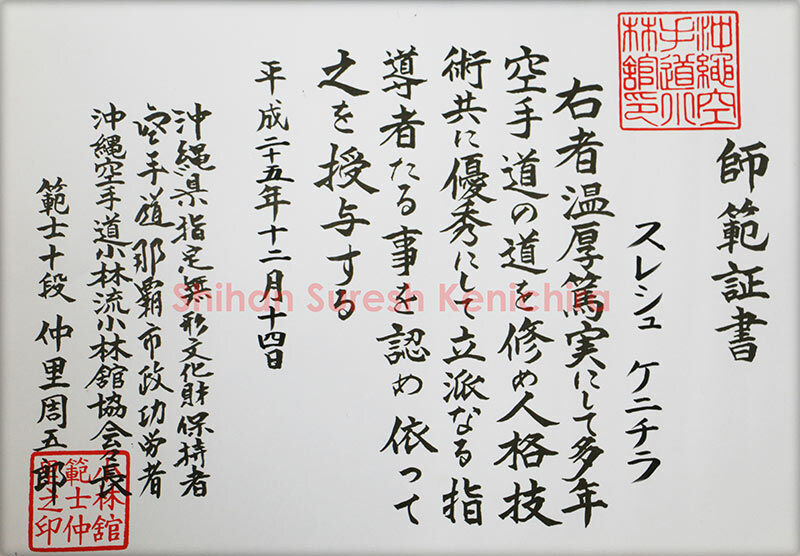 Okinawa Shorin Ryu Shorin Kan karate-Do Federation of India is directly affiliated with the Hombu dojo in Okinawa under the Founder and President of Shorin Ryu Shorin karate-do, Hanshi Ju Dan Shugoro Nakazato. 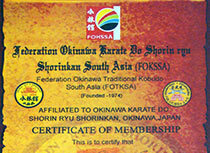 OSK Federation of India is also affiliated with Federation Okinawa Karate - Shorin Ryu Shorinkan South Asia (FOKSSA).  FOKSSA is an association of all the south Asian and middle eastern countries including India, Sri Lanka, Nepal, UAE, Maldives headed by Kyoshi Gamini Soysa from Sri Lanka. 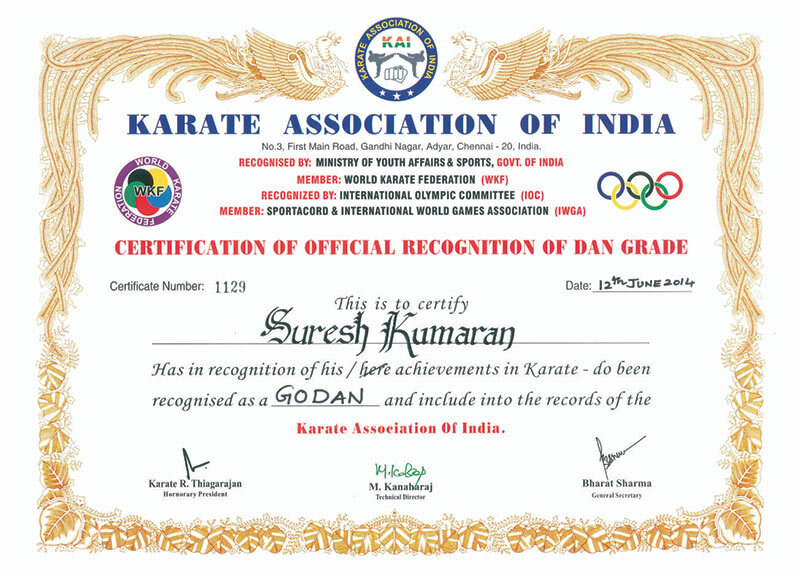 OSK Federation of India is a member of Karate Association of India (KAI) at the National Level. 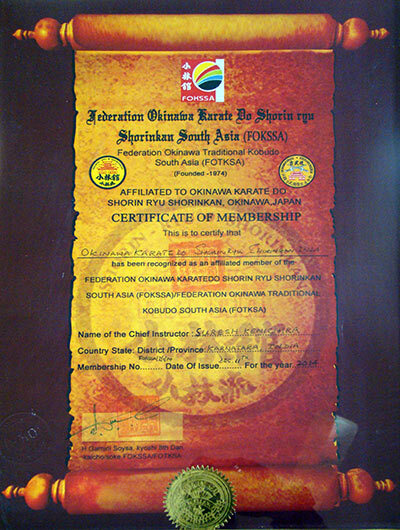 KAI is the only National Federation for Karate sports in the country. 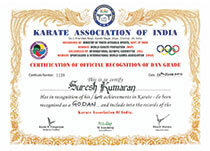 KAI is approved by World Karate Federation which is recognised by International Olympic committee. OSK Federation is also affiliated with Karnataka State Sports Karate Association (KSSKA) which is state body for the promotion sports karate for children.